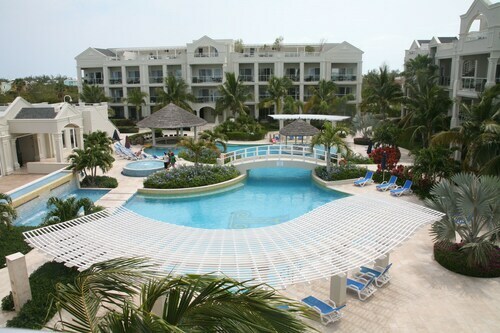 Situated by the ocean, this condo building is within a 5-minute walk of Salt Mills Plaza and Grace Bay Beach. Long Bay Beach is 2.9 mi (4.7 km) away. 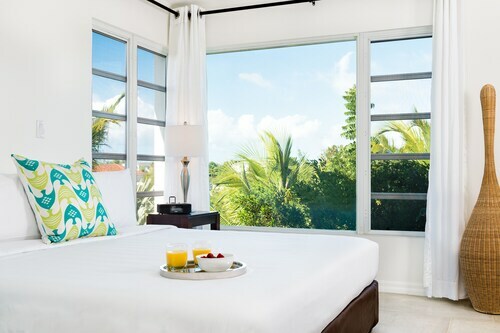 How Much is a Hotel Room in Providenciales? 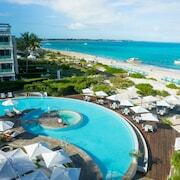 Hotels in Providenciales start at C$224 per night. Prices and availability subject to change. Additional terms may apply. 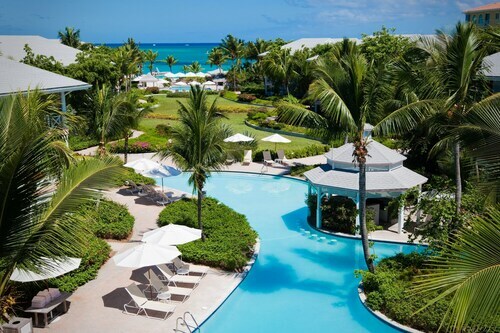 If you could crawl inside a tropical postcard, you would find yourself in Turks and Caicos. The islands are surrounded by teal water and colorful reefs growing just beneath the surface. Watching the neon waves give way to bone-white beaches, you’ll be lured to the edge of land. With the salty waves gently lapping at your legs, you’ll turn your face toward the sun and swear you have transcended the worries of the world. And, just for a moment, you have. You’ll learn to lovingly call Providenciales “Provo” within a few hours of your arrival. As you hear the name cross your lips, it occurs to you that you’re purring it with the affection usually reserved for loyal friends and beloved pets. Yes, you’ve found your home away from home. Launching your kayak into Grace Bay, you marvel at the cliffs just over your shoulder. You can hardly wait to return and explore the green parks and Caicos Conch Farm. 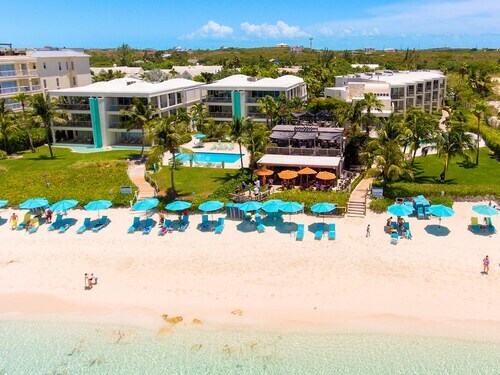 Book one of the best Providenciales hotels today, wise wanderer, and you won’t be far from the island attractions that have beckoned you to Turks and Caicos. Alexandra Resort: You may never want to leave this resort once you check in. Between the beachfront restaurant, swim up pool bar, and happy hours on the sand—the hotel caters to your every leisure need. Take advantage of free snorkeling equipment and paddle boards, and you can explore the sea within just a few minutes of waking up. Back in your room, you can keep your private kitchenette stocked with rum or the ingredients to a perfect dinner. 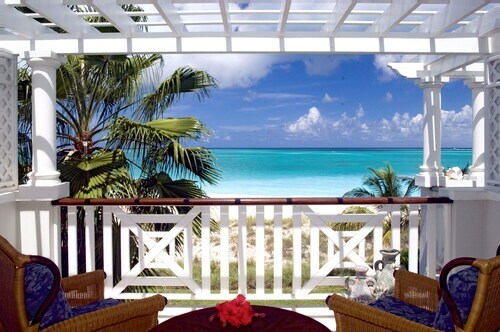 Savor it on your private balcony, and you’re in bliss. 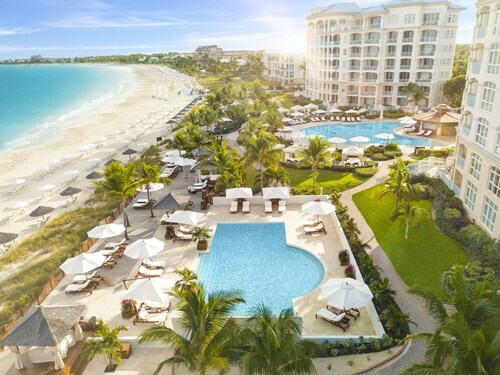 Sands at Grace Bay: This all-suites accommodation is the stuff of honeymoon vision boards. Relax by the stunning beach adjacent pool, then walk down and dig your toes in the sand. If you get tired from building a sand castle, just retreat back to the hotel and get a massage. When you want to explore the best that the island has to offer, let the staff help you arrange horseback riding on the beach or a scuba diving trip. 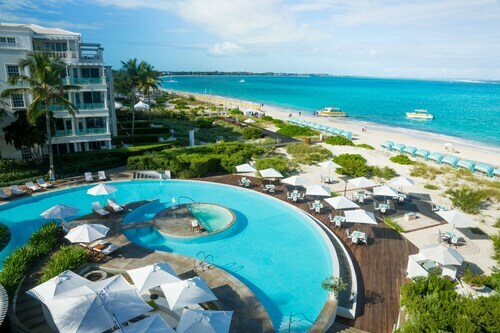 Beaches Turks & Caicos Resort Villages & Spa All Inclusive: If it takes a village to have a good vacation, this resort has you covered. In fact, it has four unique villages and a full water park within its grounds. Explore a private beach, unwind in front of a waterfront bonfire by evening, and retreat to your world-class accommodations by night. Maybe you’re staying in the Italian village enjoying old world character, or perhaps you will sleep in the French village and soak up the elegance—you can’t go wrong. 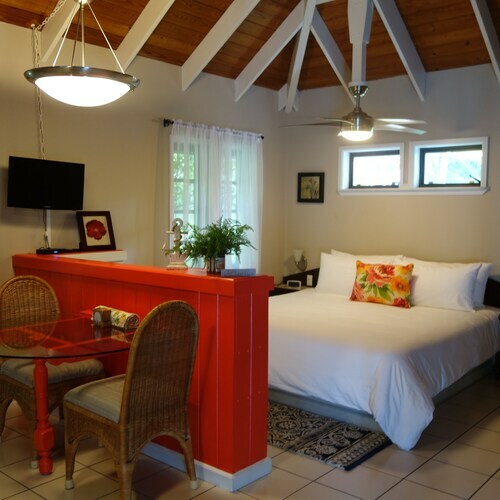 Royal West Indies Resort: Blending the colonial with the tropical comes easy for the Royal West Indies Resort. 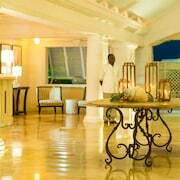 The blissful spirit that permeates the property makes it one of the best hotels in Providenciales. The amenities and attractions of the Grace Bay area are all close at reach, and yet the peaceful 5-acre grounds allow you to feel secluded from any trace of hustle or bustle. Eat your fill at the Pelican Bay restaurant, letting the savory lobster spring rolls melt in your mouth. 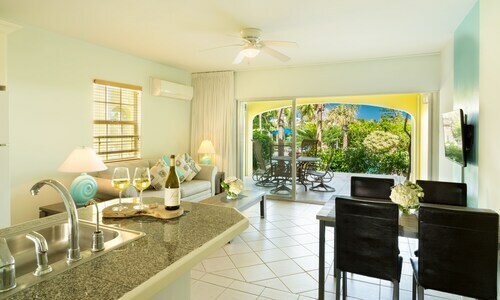 Then, head back to your suite and open the 12-foot sliding doors to let in a cool breeze as you wind down. 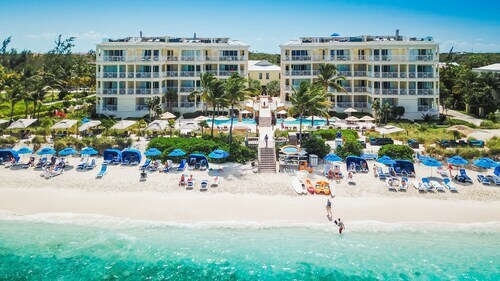 The sand and the sea aren’t the only paradise in your future; book some of the best Providenciales lodging, and your vacation becomes surreal. Cool ocean breezes will sneak through your windows at night, and warm sun rays are sure to brighten your disposition by day. 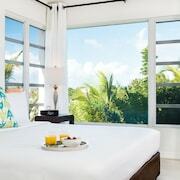 Book one of our cheap hotels near Providenciales, or better yet, a resort smack dab on the island, and let your island adventure begin. .Loved everything and people made us feel welcome , would want to stay there again. I like when I had a visitor rules and regulations were in order to my expectations highly recommend for people who value cleanliness,peace and security. We loved the privacy of the cottages. We felt as if we had our own personal swimming pool. 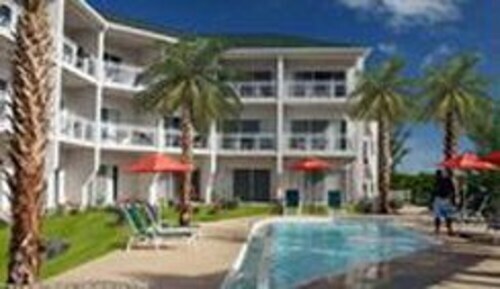 The beach access was very close and shopping was easily within walking distance. The staff were very friendly. It was quiet and just about perfect for us. Only negative was we never got the wifi to work. Would go back in a heartbeat. The unit was very comfortable and clean and having a stove and fridge were wonderful. Breakfast by the pool each day was a real treat.